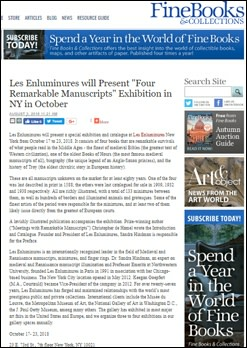 Fine Books and Collection highlights the special exhibition and catalogue on ahow at Les Enluminures New York from October 17 to 23, 2018. It consists of four books that are remarkable survivals of what people read in the Middle Ages. These are all manuscripts unknown on the market for at least eighty years.